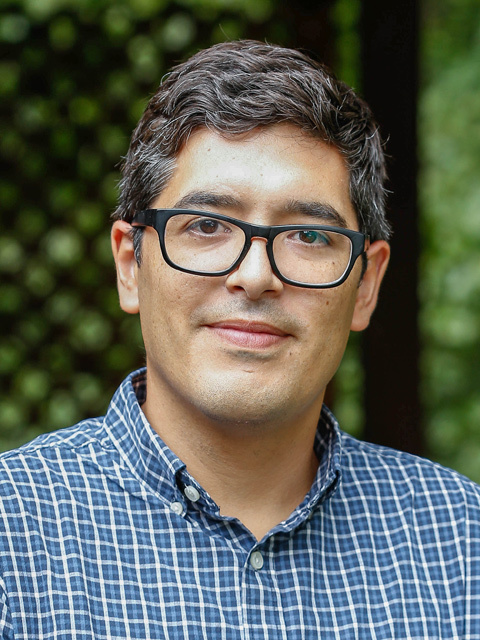 Miguel Centellas joined the Croft Institute in the fall of 2015 as Croft Instructional Assistant Professor of Sociology. He received his PhD in political science from Western Michigan University in 2007. His research on political institutions in new democracies has focused on Bolivia, but includes a broader comparative interest in new democracies in Latin America and Europe. His research explores the relationship between democratization and political identity at the subnational level, and the role played by institutional and socioeconomic factors in that relationship. Dr. Centellas has conducted extensive fieldwork in Bolivia (where he was a 2003-2004 Fulbright Scholar) and is co-director of the joint University of Mississippi and Universidad Católica de Bolivia Social Science Field School in La Paz. This course examines democracy in Latin America within an interdisciplinary and comparative framework. We will begin by tracing how the distinct political history of Latin America developed the attitudinal, institutional, and behavioral contexts for contemporary politics. Then, we will study contemporary democratic regimes, particularly key cases, such as Venezuela, Brazil, Chile, and Mexico. We will also focus on key institutions, such as the presidency, political parties, the military, and the Church. Finally, the course will analyze the quality of democracy in the region, using both qualitative and quantitative approaches, relying on various survey, socioeconomic, and electoral data. This is an introduction to research methods for International Studies majors, with the purpose of preparing them for the senior thesis. Emphasis is placed on the fundamentals of social scientific research design, as well as commonly used qualitative and quantitative research methods and techniques. Throughout the semester, students will develop a research prospectus, which can be used for the senior thesis. Finally, students will also learn how to give a brief oral research presentation. This is an interdisciplinary seminar on populism in Latin America, with a focus on the historical trajectory of populist politics, movements, and leaders in the region. Although populism is often associated with twentieth century Latin American politics, the term is often used to describe more recent political leaders—often those associated with the “new” left. Students will gain a working knowledge of populism in Latin America, from a historical perspective (who were “populists”) and from a political-sociological perspective (what is “populism”). Students will also apply a conceptual understanding of “populism” in an independent research paper. An interdisciplinary seminar on populism in Latin America. Drawing from the disciplines of history, sociology, and political science, we will focus on historical and contemporary cases of populism in Latin America - and the difficulties defining "populism" conceptually. Cases include: Juan and Eva Perón (Argentina), Getúlio Vargas (Brazil), José María Velasco Ibarra (Ecuador), Alberto Fujimori (Peru), Hugo Chávez (Venezuela), and Evo Morales (Bolivia). An overview of the organizational structure and functions of the United Nations, with emphasis on selecting and preparing a team for the annual National Model United Nations competition in New York. This course will look at the role of political parties in new democracies, particularly as the state transitions from an authoritarian regime with limited competition to a competitive electoral democracy. The course will cover new democracies in Latin America, Eastern Europe, and East Asia, but with a special focus on two parties: the Workers Party (Brazil) and Solidarity (Poland).